I applied Pika Pika Rain Ceramic Coating to my brand new MERCEDS BENZ G350d. 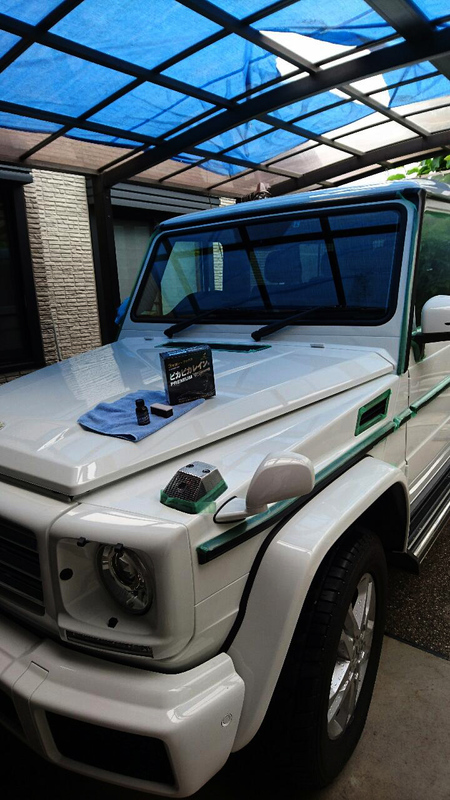 I used to ask car dealer’s coating which I spent more than 100,000 JPY, but this time was my first challenge for DIY coating. At that time, it was hot and rainy season so I chose the day of application while looking desperately at the weather forecast. I hanged on a sheet on the garage roof to keep off the sun and then I started. I washed my car with neutral car shampoo and dried the water carefully. Also I used a masking tape on the rubber moldings and then I finished the preparation. 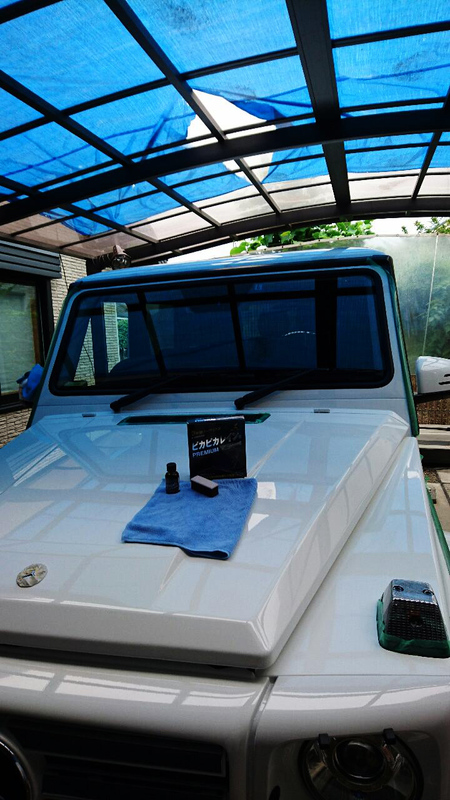 but Pika Pika Rain PREMIUM Ceramic Coating spread very well, so I could finished the application with one bottle. 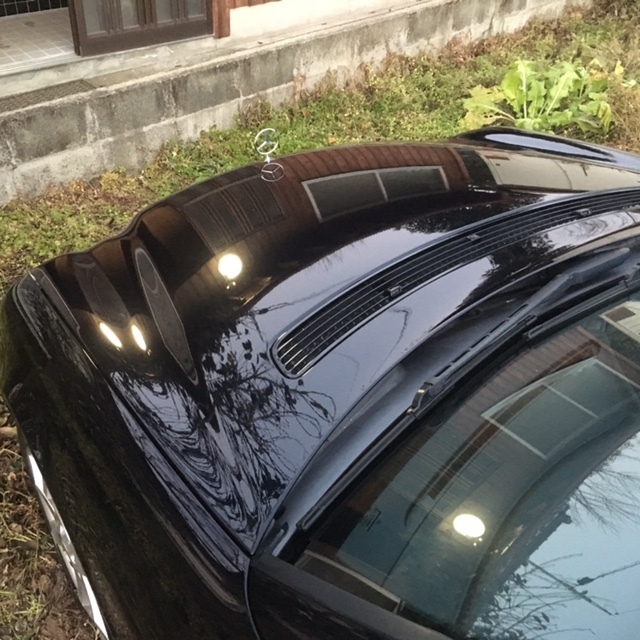 but I was surprised at the garage roof which was reflected on the car body so clearly. 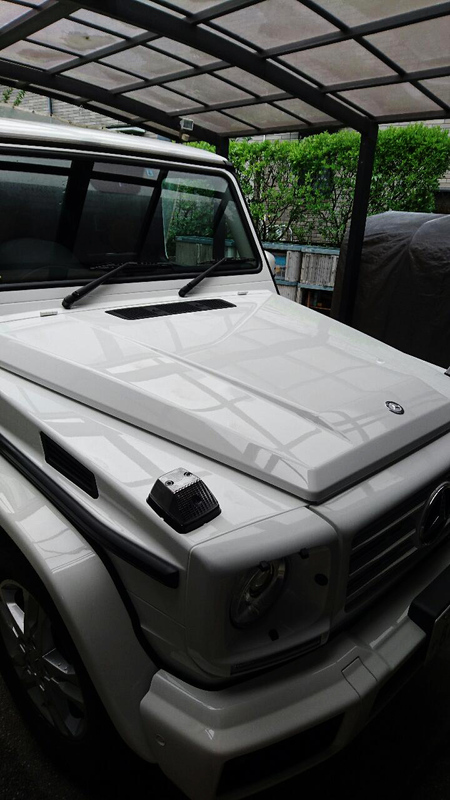 After the application, the white car body shined brightly like my car eyes hurt. but I was really satisfied with the workability and the shiny gloss. This price is very profitable. I will repeat it. 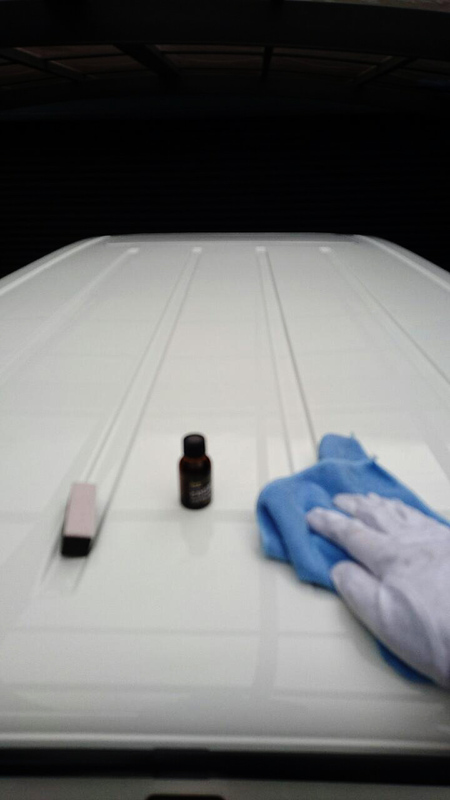 I applied Pika Pika Rain PREMIUM Ceramic Coating to my brand new car in July 1st. I started to the application from the dusk, but I finished with 1 hour. It was second time for me, so I could do it with attention to the important points. The next day, I splashed to the water to check its water repellency. The water were flowing like a fall and it made me so refresh. The water repellency was excellent so water drops didn’t remain on the car body. Also the gloss was excellent and the reflection was so nice. I dropped the liquid a little on the windshield with my fault. 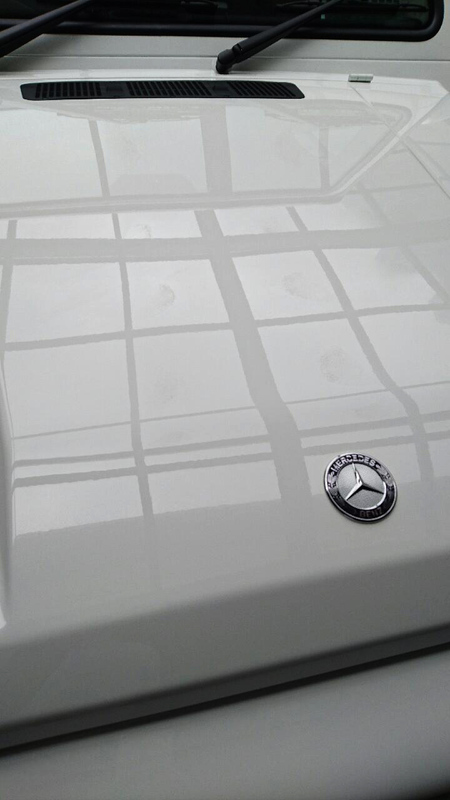 Then it could not be removed but it means that this ceramic coating was so strong. so I recommend Pika Pika Rain PREMIUM Ceramic Coating you who want to save the cost but expect the nice results. I recommend for high-class cars, too. 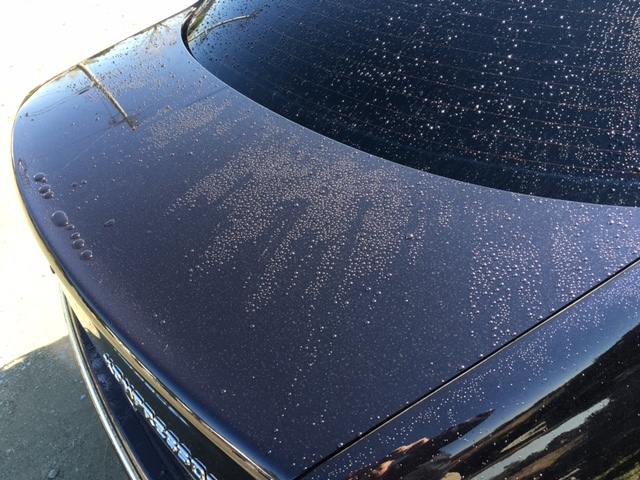 The car body after washing. The reflection is not so good even though it gets the light from above. This is the extreme-gloss, not ultimate gloss. I feel much it should be much better if the car body gets the light in a same situation. 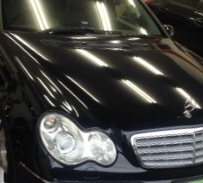 I have heard that car detailers paint or plate to cars look better!? It looks water flows naturally. Pika Pika Rain PREMIUM is wonderful. How about this the reflection of clouds!? I applied it to the hood divide into four. so more than a half of the bottle still remain for Benz C class. I’m going to reapply it one month later. I’m so exciting because I can get the more gloss from now. 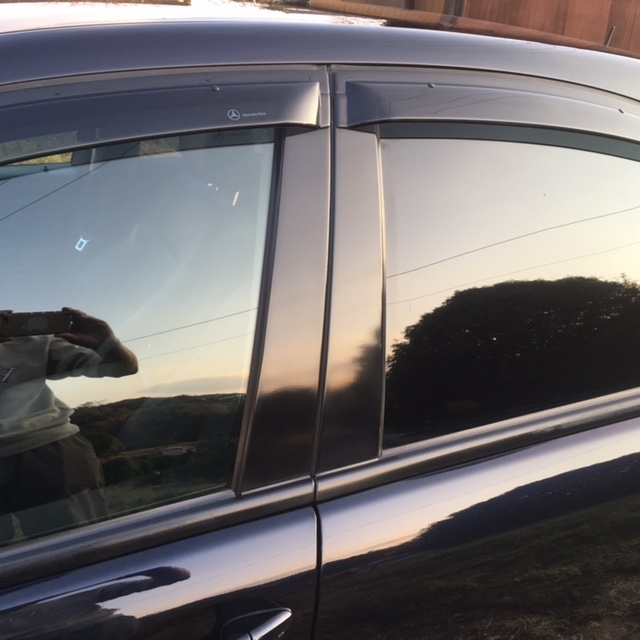 This is not “glass-like”, “real 9H glass coating”. better spreading and the nice workability!! I’m very satisfied with Pika Pika Rain PREMIUM.